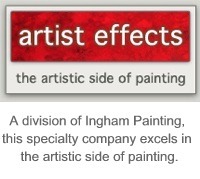 Committed to providing an outstanding product and long-term satisfaction, Ingham Painting Incorporated offers experienced painters and the best products, tools, and equipment to paint your home or business. Since 1981, Ingham Painting has been working on all types, sizes, and descriptions of properties in San Luis Obispo County. We understand how important it is to maintain your home or business with quality paints applied by professional painters. We are State Licensed Contractors and members in good standing with the Painting and Decorating Contractors Association of America. Founded in 1884, the PDCA is the oldest trade association in the United States. We are committed to ensuring your long-term satisfaction and carry a comprehensive package of insurance to protect you. This includes Public Liability and Property Damage, Workers Compensation Insurance, and bonding as required by the State of California. When contacting us, please let us know if you are a contractor.